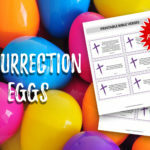 One of the keys to homeschooling is being prepared. 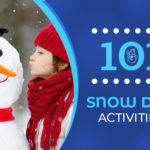 Having lessons ready and supplies on hand is crucial to keeping the flow of the homeschool day. We can be having a great engaging lesson, but if I have to break away to go find a new pencil or notebook, the kids are gone. Maybe not physically but mentally they have moved on. Getting them back on track can waste precious time that busy homeschooling families like mine cannot afford to waste. Time wasted might mean that something gets left out. 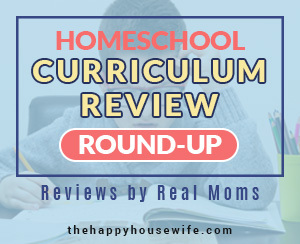 Many homeschooling parents tell me that hands-on science activities and experiments are often thrown by the wayside when time is running out on the day. That’s a shame. Here’s a little tip to help you be prepared for your science labs and activities. 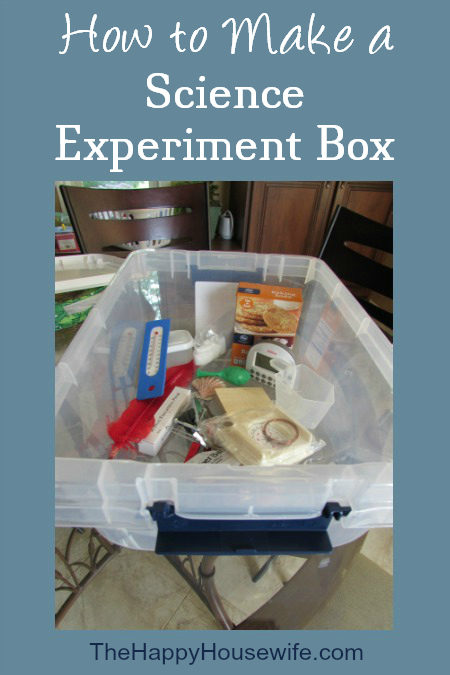 Keep a science experiment box for each child or science curriculum. Having all your supplies in one spot saves you from running around at the last minute looking for the thermometer or the baking soda. This saves you time and makes getting to the hands-on science easy. For each child, make a list of all the supplies your curriculum requires (if you weren’t given a list with the curriculum). Gather all the supplies you will need. Yep. All supplies. Even if you need baking soda or other common household items, get a new container of it, or at least the amount you need. Combine all the supplies for each child in their own plastic bin with a lid. I like to use the bins that are larger than a shoe box, but smaller than the large storage bins. If you are worried about liquids spilling, place them in zip-loc bags. 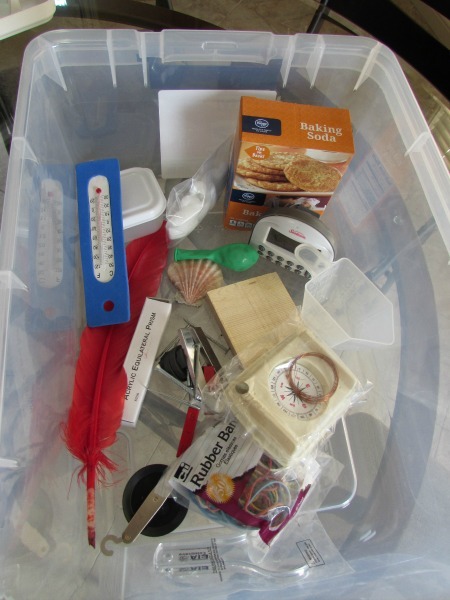 Store your science bin on an easily accessible shelf so the kids can grab it when they need it. No more running around at the last minute. 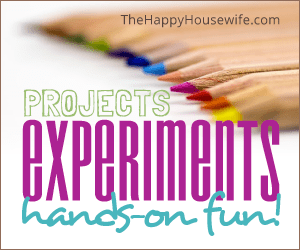 No more excuses for not doing your experiments!